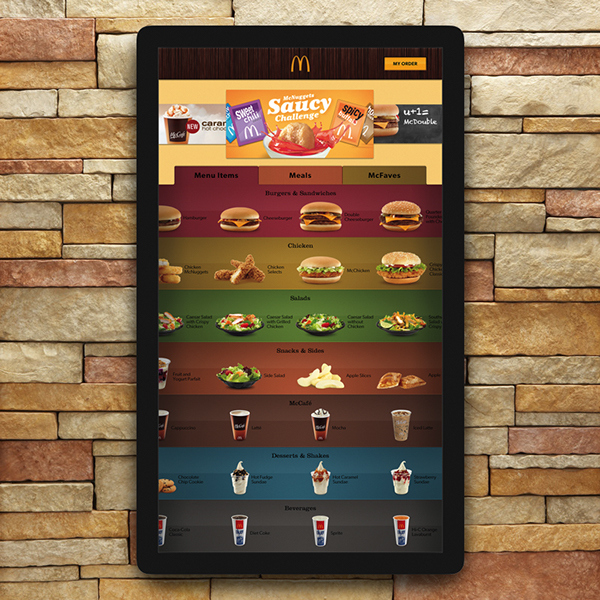 McDonald’s menu boards were originally quite simple, but over the years additional product categories like salads, snack wraps, and McCafé beverages have made their menu convoluted and confusing. Part of the issue is a lack of hierarchy. New promotions and the Value Menu take center stage while smaller portions and single snacks are easily overlooked. 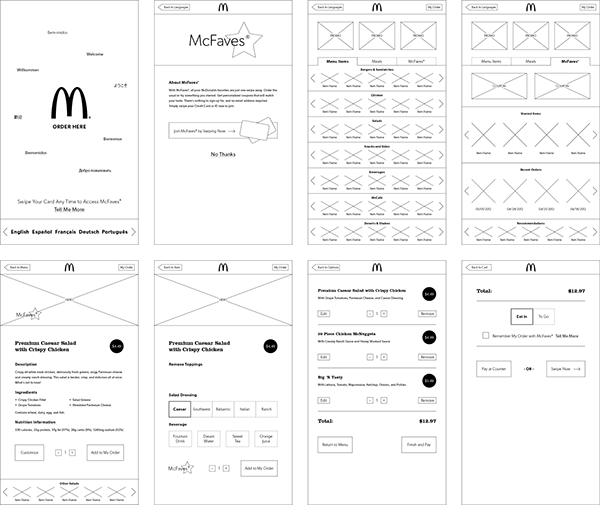 Partly, customers feel overwhelmed by the sheer number of choices – the McDonald’s menu has grown to include over 150 items. Our team decided to create an interactive ordering kiosk to solve these problems. 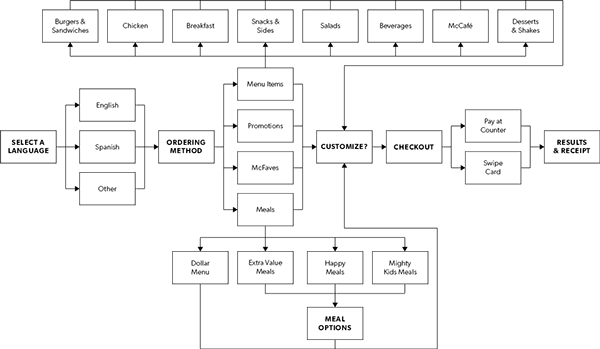 To create hierarchy our interface is grouped according to meal options and specific food categories such as snacks, burgers, chicken, and salads. Navigation tools including headings, subheadings, descriptions and color coding add visual clarity. 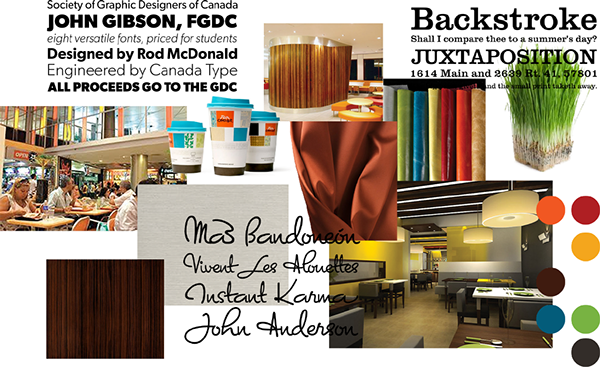 To take pressure off the ordering process a kiosk will be located at each table in the restaurant. Several kiosks will also be located between the entry and the traditional ordering counter for those who want to take their meal to-go. Many McDonald’s customers order the exact same items every visit. To address their needs we've created a favorites program which allows customer to quickly access the meals they love by simply swiping their credit card or ID. Unlike other loyalty programs, customers will not be required to sign up for an account or be bombarded with promotional emails. Instead, if a new discount or promotion pertains to a customer’s taste they will be made aware of it the next time their card is swiped. This rewards loyal customers and allows them to customize their experience.